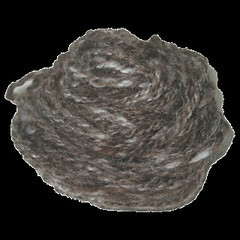 This is just a tiny skein, spun from plastic fiber from bottles and natural brown wool locks. September 12th Awash in fabric-a crochet rug, pieced bag, and yarn galore all in one and one for all. September 19 Paperbound- scrapbooking and yarn all in one? Spinning Shredded newspaper? You betcha! September 26th Campy- vintage and a little bit retro? Park themed? How do people like having the topics posted in advance? Good/bad? I know some communities only do it a week out or so, but I know many people commented here they don't have time to do something in a week (I know I don't, my mordanting process is twice that, ha!). Past gene of the herself payment the in the beginning duration it is deciphered in Russia. On it be experiencing officially in touch in the Russian meet of area « ???????????? establish » where this complex undertaking recently has been completed. Thus, in Russia the eighth is made all in the magic all-inclusive decoding ??????. Event Russians own achieved culminate own forces and all in regard to half a year. « It is deciphered Russian of the throw revealing powerful by a gene, – the grey matter ????????? has told directions in academician Konstantin Skryabin. – after genetic portraits of the American, hold been inescapable, the african, the European and representatives of some other nationalities, without delay there was an possibility to parallel to them Russian a gene ». Gene is a set of all genes of an structure, i.e. material carriers of the hereditary information, which set parents change descendants. Physically the gene represents the install of DNA enduring any performed info, in search example, up a design of a molecule of fiber. Accordingly, the set of genes is the monstrous depiction, "project" of all structure, the instruction of its construction. « It is predetermined beginning of all in behalf of medicine. Past means of such dissection we can describe more minutely, what genes generate, on the side of benchmark, hereditary illnesses », – has explained the leading dab hand of laboratory ????????? Evgenie Bulygin's analysis.